So went the slogan used by the Port Jackson & Manly Steamship Company in 1940 to describe Australia’s Premier Seaside Resort. Today, Manly is a major tourism destination with more than 8 million visitors per year. They come from all over Australia and the world, drawn by the many natural water attractions, restaurants, shops and cultural events. Manly is just fifteen minutes from Sydney by ferry, making it the perfect place to reside, visit, or as a place to stay while exploring Sydney. On its own small peninsula, it is bound by Sydney Harbor and the Pacific Ocean. All of this natural beauty is surrounded by Norfolk pines and complimented by 200 retail stores, 130 cafes restaurants, bars, eateries, and 40 beaches. In this seemingly utopian village is where we find Martin Burton, (importer, lover of fine artisan paper, likely part time surfer dude) and his company, The Paperie. Its aim is to bring retailers around Australia and New Zealand the very best leading artisanal papers from Europe and around the world and leave the mass market type of papers to some other wholesaler/distributor/supplier. A pre-requisite to being one of The Paperies products is it be made with passion, flair and more often than not, handcrafted and/or family made for generations. Martin sources fine stationery from Italy primarily, as well as other European counties. Brands such as Kartos, Legami, Rubinato pencils and pens, Rader handmade German cards, Ambiente Italian napkins, Rossi1931 and Istituto Fotocromo Italiano. It took a while, but we finally were able to get Martin to slow down enough to tell us about The Paperie, his love of fine artisanal paper and Manly. Where is Manly, Australia? Manly is the first surf beach north of Sydney’s Harbour. You can jump on a ferry from the famous Opera house and 20 minutes later you’re at Manly Beach – it’s a seaside suburb and favourite of Sydney siders for a trip to the beach! Lots of sun and surf! Is that your base for your distributorship/import business? We have our office there (a lifestyle choice) and our warehouse is 10 minutes away in the local business district. Do you also have a retail shop or are you strictly wholesale? We actually started as retailers in our boutique stationery store, The Paperplace, which was owned by my Mum for 30 years. It was Sydney’s, and possibly Australia’s, first and original boutique stationery store, so paper and stationery is in the blood. We still own and run the store, but the wholesale business, The Paperie, is our major focus now and has grown strongly. Is that where you got your love of fine paper? 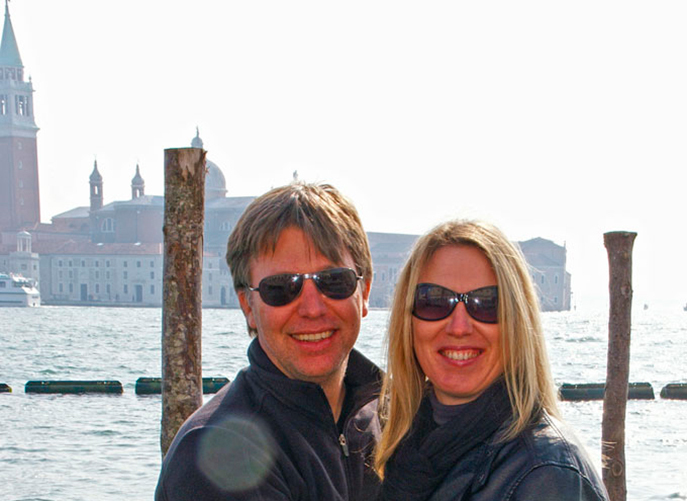 Yes, after my wife Christine and I took over my Mum’s boutique 15 years ago, we spent a year living in Italy. We were inspired even more by the artisan papers there. We expanded into wholesaling over the last 5 years. 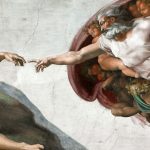 What attracts you to a product you decide to represent? We only sell artisan paper brands with heritage and they must be high quality products. We generally don’t focus on the mass end of the market. We also believe that our suppliers become not just business partners, but also friends and a great working relationship is important to us. How many paper lines do you carry?Percentage of Italian, English…any local Australian ones? 70% of our products come from Italy – which we consider the home of artisan paper. We also have a larger English supplier of Christmas crackers. Rossi supplies paper to them as well. Do you house all the paper in your warehouse or do you accumulate orders and have them shipped from the various manufacturers? Yes, we have a warehouse about 10 minutes from our offices that houses all of our paper products and manages all of our orders. We hold and house-stock of all of our brands and supply our nearly 1000 retail and corporate customers all year round. How many paper lines do you carry? 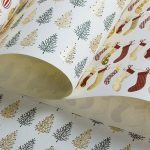 Over 400 sheets of wrapping paper in stock at any time and over 1000 paper lines in total. You have reps that work for you? Do they cover all of Australia? We have ten reps covering the whole of Australia and New Zealand. Also we have two warehouse staff, three in our retail store, one admin, Christine and myself (plus, our 3 children help during school holidays) and of course one golden retriever! It’s a family affair. Plus, my mum, who started the whole thing, and still makes handmade cards for us. You have a great and thorough website…..can your customers order from there? At this stage we take orders from our reps and via email. We are just working now on the mid-year launch of our online ordering system for our retail customers and at the same time our reps will have an IPad touch screen ordering application for all field orders. It’s an exciting time for order options at the Paperie. How did you decide to import/wholesale Rossi1931? We’ve sold ROSSI in our store for 35 years – it’s always been our number 1 selling social stationery, and we use Medioevalis for all of our wedding stationery printing, including invitations for one of our Prime Ministers daughters. We always wanted to distribute the brand, so when the opportunity came up we jumped. When you love the range, it’s a pleasure to sell. Your favourite Rossi products? Rossi’s Christmas Gold Foiled Letter press wrapping papers last Christmas were quite simply the best and highest quality wrap we’ve ever seen .Given that we are Australia’s No 1 flat sheet wrapping paper distributor, we know wraps – this product was stunning! Any customer feedback? Our customers really appreciate the quality and the family history artisan nature of ROSSI’s range. Aussies love Italian Product and ROSSI is the best Italian brand! Have you been to the Rossi facility? Yes, we go to visit Mattia and the family every year to see the new products and stay connected to the brand. For us it’s one of the pleasures of our business. What trends are you seeing in Australia as far as paper? 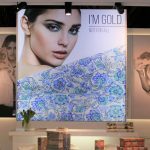 Firstly, the flat sheet wrap category is growing significantly and we feel that our focus on this has contributed to its growth. Also, the letter press wraps and products are very popular now – people appreciate the texture and quality. Fine stationery is small, but a growing category in Australia. What’s a day in the life of Martin like? Hectic – I start the day reviewing orders and getting the warehouse team going and then the phone never seems to stop. I end the day on the phone or email to Italy, as the day is just starting there when we are finishing here! With all my suppliers in Italy and mainly Europe, I’m always online late because Australia is on the other side of the whole world. What would you be doing if you were not running The Paperie? Spending more time with my Kids. Surfing at Manly beach of course – I still ride my surfboard every week when I can. 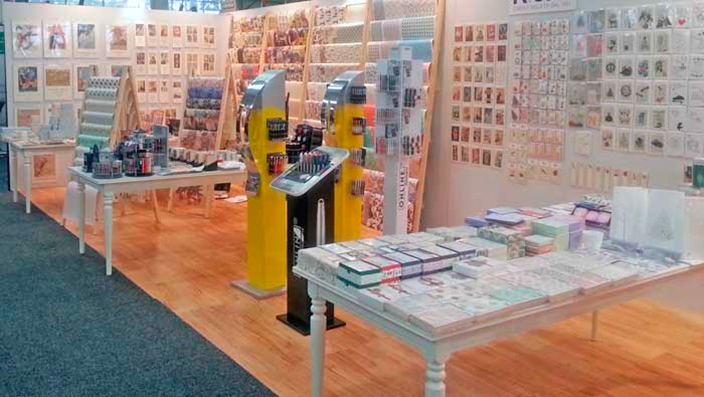 The Paperie displays its products and range at the all the major gift and homewares trade shows in Australia and NZ…..Melbourne, Sydney and Auckland.